BX – all the way to Kent – HubNut – celebrating the average! Yesterday, we sailed serenely from home in mid-Wales to Kent. It’s not a journey I usually enjoy, but traffic levels were relatively light. We didn’t hit traffic until Tunbridge Wells! That’s pretty good going. I was thoroughly reminded why I have such a soft-spot for the BX. It ate up the 250-mile journey with no drama and no discomfort. We clambered aboard, drove it hard for many hours, then clambered out again. Best of all, I filled the tank when I purchased the car last Tuesday, and it still doesn’t need another fill, even after 400 miles of driving. That’s a pretty heavy first week of use! My biggest concern with going back to BXs was that with this one, I’d miss the turbocharger of my previous two. I have to say though, while acceleration is never dramatic, the non-turbo diesel builds speed well enough and there are many advantages to the non-blown engine. For a start, it’s a lot more simple. 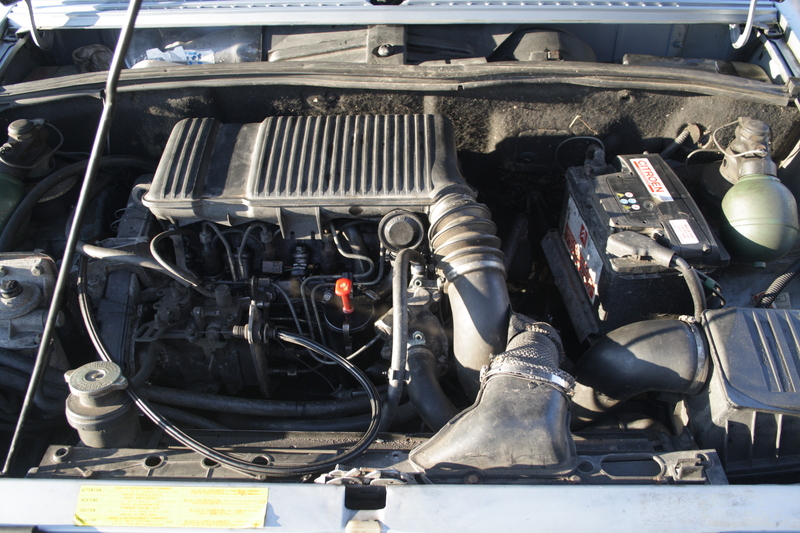 There’s less to go wrong and the engine bay is also considerably less cluttered. That makes it a delight to work on. I buy diesel, for a more natural experience. I did think that the taller gearing of the turbo diesel was an advantage – it makes motorway driving a bit less frenetic. But, I’m not sure that greater cruising potential makes up for the need to keep stirring the cogs so much. With my new BX, I can stay in fifth gear almost all of the time. It’s a lot more relaxing. It didn’t feel that frenetic at a 70mph-ish cruise either, though perhaps the lack of a rev counter helps. You can’t see how fast the engine is spinning! Simplicity is a good thing! What really impresses though is comfort. After hours behind the wheel, I had a joyous lack of aches. Compared to the Sirion, broken road surfaces were nothing to fear either. Which is good, as Kent is full of destroyed roads. The only mild discomfort came from the frustrating lack of a clutch-foot rest. Perhaps I can make one though. Huge mirrors and small window pillars take a lot of the stress out of motorway driving too, though when traffic levels build up, there is a danger that everyone else can out-accelerate you by some margin when things clear again. You have to try and predict when things are going to pick up again, and mash the throttle into the carpet before you really need to start accelerating. It’s a technique I’ve developed through many years of 2CV ownership. So is maintaining momentum. On the twisty, hilly roads of south Wales, the BX’s fine cornering behaviour enabled me to avoid having to slow down too much. Later today, we have to drive another 250 miles back home. We’re likely to share the driving. It’ll be interesting to see how Mrs TheWife gets on with the BX. It’s a good few years since she last drove one.